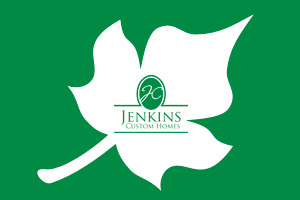 Jenkins Custom Homes is actively committed to designing and building green homes, which promote the health and well-being of our natural environment. As a result, environmental, economic and social benefits are obtained. Sustainability is important because all the choices we pursue and all the actions that we make today will affect everything in the future. The buildings in which we live, work, and play protect us from nature’s extremes, yet they also affect our health and environment in countless ways. As the benefits of green building become more apparent, many green building practices are gaining momentum. Why choose a green builder? U.S. Environmental Protection Agency. (2012, December 19). Why Build Green? The built environment has a vast impact on the natural environment, human health, and the economy. By adopting green building strategies, we can maximize both economic and environmental performance. Green construction methods can be integrated into buildings at any stage, from design and construction, to renovation and deconstruction. However, the most significant benefits can be obtained if the design and construction team takes an integrated approach from the earliest stages of designing and building project. 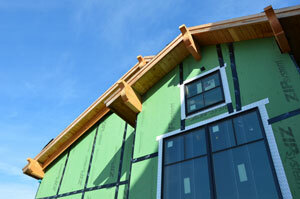 Learn about our true Design Build process. The City of Austin created the nation’s first green builder program in 1990. Austin Energy Green Building (AEGB) is now the nation’s most successful sustainable building program. Austin Energy Green Building, June, 2014. Energy effects all facets of home design, construction, and operation, from drawing the initial plans to installing light bulbs and operating appliances. Energy use over the lifespan of a building may be the single most important environmental and economic issue to address in a home. Excessive fossil-fuel energy that is used to power our homes results in significant environmental impacts on a local as well as global scale, and can unnecessarily increases the home’s annual operating and maintenance costs. Water use in Central Texas has dramatically increased with the rapid growth of the area’s population. Water use has reached near capacity levels during several summers over the past decade. In addition, water quality issues have entered the limelight as development moves to the outskirts of towns into environmentally sensitive areas. Competing uses for water – domestic, industrial, agricultural, and recreational – will further aggravate the situation in the near future. 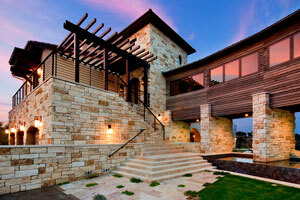 In Central Texas, there is an abundant supply of locally produced building materials and products. Stone such as granite and limestone are durable, no-maintenance building materials. Local wood such as cedar/juniper, often cleared from property prior to development, is a good choice for casing, trim and cabinetry. Local hardwoods, locally milled, like pecan and mesquite, make easily maintained, durable flooring materials. In addition, composite recycled wood/plastic decking and trim products are manufactured in the region. Health concerns have increased in prominence as homes have become tighter and more energy-efficient. In addition, modern building materials and products are typically highly processed and may contain chemical compounds that are irritants to some people when used in indoor conditions. Eliminating or reducing the source of indoor pollutants and contaminants is the best strategy to successfully build a healthy home. Learn about the Healthy Homes Standard. 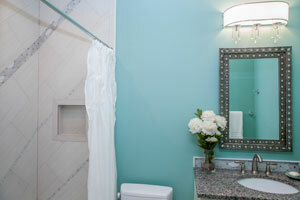 Green building measures under this topic include location of the home and design features. Universal design can potentially extend the useful life of a home for its occupants as they grow older or become infirm, or simply make a home more livable for anyone who may experience temporary mobility problems from a sports injury or accident. Our greatest accomplishment is building something beautiful, functional and sustainable together with you. 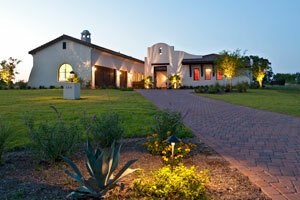 The first step is to schedule an appointment to visit with us at our Luxury Home Idea Center. After that, the interactive Lifestyle Analysis interview with our lead designer kicks it off. In less than a month, you will have a complete Feasibility Study including a design proposal and guaranteed cost estimate. At this point, we hope we have gained your confidence. The next step is moving into full-blow design and development. Once plans are complete and permits are secured, we break ground. Once the home is complete and you move-in, our two-year warranty will keep you covered long after the trades go home. Our hope is that this will be one of the greatest experiences of your life. But don’t just take it from us, see what our past clients have to say. To begin your experience, contact us online or call 512-402-9222.